Gary Williams passed away on January 14th, 2018, from complications of Progressive Supranuclear Palsy (PSP), a rare neurodegenerative disease. His Memorial Service will begin at 11:00 a.m. on Monday, January 22, 2018 in the Lutheran Church of Dell Rapids Chapel. Visitation with the family present will be from 5:00 p.m. - 7:00 p.m. on Sunday, January 21, 2018 at Kahler Funeral Home. Gary Wayne Williams was born February 12th, 1945, to James and Lorene Williams of Dell Rapids. He attended Dockstader Country School in Moody County until he went to Dell Rapids High School. There he enjoyed sports, where he starred in football and track, and was given the citizenship award at graduation. Then he attended South Dakota State University, where he was a member of Alpha Gamma Rho fraternity, Rodeo Club and ROTC. He became a 2nd Lietenant in the Army and earned his pilot’s license and a Bachelor of Science degree while at SDSU. 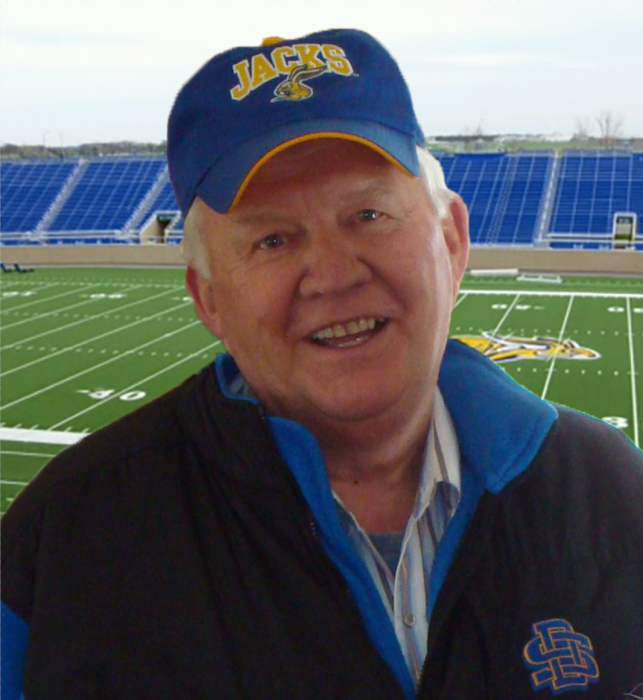 Gary met Darlys Masat at SDSU, whom he married on January 26, 1969, in Redfield SD. They made their first home in Milbank, and then moved to Sioux Falls and eventually settled on a farm near Trent. He was an extension agent in Milbank and Sioux Falls and then a hog buyer for Morrell’s. He then farmed for many years before moving to Dell Rapids and working for the US Post Office until retirement. One of his greatest joys in life was attending his children’s high school and college events, and later his grandchildren’s activities: didn’t matter if it was Fargo, Ames or Rapid City – he was there. He was known for his mischievous grin and his ability to strike up a conversation with anyone and instantly make them feel like a long-lost friend. His family will always remember him for his “humility”, as we all knew him as the ‘world’s nicest guy’. He was preceded in death by parents James and Lorene Williams and brother James Dennis Williams. He is survived by his wife of 49 years, Darlys (Dell Rapids); daughter Kristi Goehring (Parkston) and husband Scott and children Kacy, Elle and Abby; Son Justin Williams (Cambridge, WI) and wife Angela and children Ava and Aiden; Son Jordan Williams (Cranberry Township, PA) and wife Rebel and children Lyric, Aria and Coda; and siblings Jeanette (Tom) Burkhart and Phyllis (Deane) Koller. Research and education were important to Gary, therefore he decided to donate his brain for research so that someday he may be able to help others who may be afflicted with PSP. In lieu of flowers, memorial funds will be directed towards scholarship funds and research into a cure for PSP.